Tapioca chips are processed from raw tapioca roots into dry chip form. For application of the animal feed industry, the chips are normally pelletized into tapioca pellets or ground into tapioca meals for mixing with other feed ingredients. However, tapioca chips are also used widely in China, Brazil as well as Korea in the making of alcohol as a substitute to molasses and sweet potato. 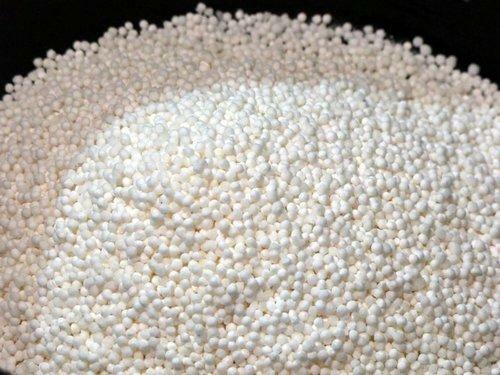 From the abundant crop of tapioca in Thailand, tapioca pellets are produced and exported in huge volume mainly to the European Union countries to be used as an animal feed ingredient. Thus it makes an economical commodity for substituting the usage of grains to yield carbohydrate apart from the protein contents derived from soya bean and other ingredients. It is used in Animal Feed Industry and in Alcohol Industry. Dextrin is actually a name for a type of low molecular weight carbohydrates. Dextrins are produced by enacting the process of hydrolysis on starches. Hydrolysis involves splitting water up into its basic components and allowing those components to attach to other molecules. There are several types of Dextrin and they have related formulas. They are produced through acidic hydrolysis performed on potato starches. And, they are soluble in water. Dextrins are white, yellow or brown powders that are partially or fully water-soluble, yielding optically active solutions of low viscosity. Most can be detected with iodine solution, giving a red coloration, one distinguishes erythrodextrin (dextrin that colors red) and achrodextrin (giving no color). We are suppliers of white and yellow dextrin with capacity of 4800 M.T per annum. We currently export to Europe and middle east. Applications: Textile, Paper converting industries, food, Explosives, Paper Tube, Paper Core. Packing: 50 kg PP Packing. Storage: Store in a cool, dry place away from sunlight and moisture. Fine, dry & off white cream color powder. It is based on best quality of starch specially treated and formulated by various additives. It forms solution when mixed with water. It’s derived from tapioca waste. Application: As a filler in all kind of industries like Corrugation Powder, Coils and other Industries. Packing : 50 kg PP Packing and 70 Kg Gunny Packing. Fine, dry & off white cream color powder. It is based on best quality of starch specially treated and formulated by various additives. It forms solution when mixed with water. Star pasting (lamination) gum is available in various grades as per solid to water ratio- • 1:3 • 1:4 • 1:5 • 1:6 . We are supplier of modified starch for corrugated box industry with monthly capacity of 480 M. T. We manufacture corrugation, and pasting powder for corrugated box industry both hot and cold process. Modified starch for high speed automatic machine. Bottom paste adhesive for multiwall paper bag. Applications: Carton box, High speed automatic Corrugation Box Industry.